Inspired by a comment by one of our readers, Steve C. writes about short term rentals in Richmond. Watch for future articles by Steve with regard to Church Hill renovations and new construction. Short term AirBnB rentals are illegal — at least that is the opinion of city officials at the Planning Commission. Such rentals “are currently not identified as a permitted use by the City’s Zoning Ordinance and are, therefore, prohibited.” [I will leave it to the reader to assess the validity of this reasoning.] 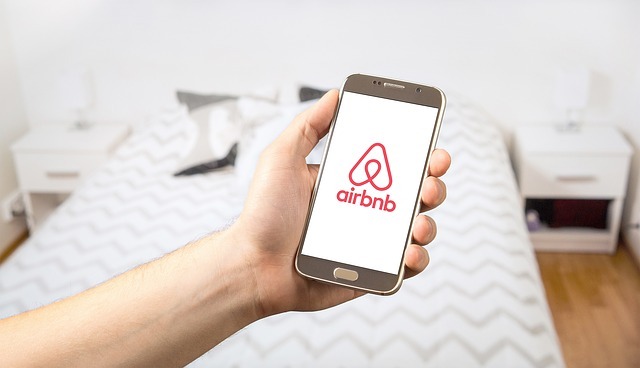 The matter of regulating short-term AirBnB-type rentals came up recently at the regular January 7, 2019, Planning Commission meeting. The Planning Commission decided to revisit the issue soon (as will City Council). But in fact, such short term rentals have already been evaluated by the Planning Commission, in 2015. Spurred, in 2105, by the UCI World Cup, the Richmond City Council directed the City’s Planing Commission “to conduct a study concerning the use of internet lodging devices in the city of Richmond” and “whether any . . . laws or regulations are necessary to address any issues created by the rental of real property through internet lodging services.” Included were instructions to investigate the general impact of such lodging, taxing such rentals as wells as zoning/parking/ traffic issues and health and safety issues. The planning Commission’s 2015 report can be found here. Much (perhaps too much) manpower would be required to effectively regulate such rentals. Lodging taxes should be collected, but the sum will probably not be significant. (Such short term rentals “should not be viewed as a large revenue generator.”) As of 2015, sites such as AirBnB did not assist in collecting these taxes, except for large cities. Current health regulations and fire regulations do not impact short-term rentals. However, it is possible that stricter building code requirements could kick in, which in some cases could mean that older homes would have to comply with current building code regulations. It also could mean the City might mandate inspections of property used for short term rentals. The report spends a good deal of time looking at how other cities have handled these issues. The Commission seemed to be impressed by cities who spent time and effort hearing from the public before enacting laws and regulations. There are myriad possibilities and issues here. Would a business license be required? Would the City conduct inspections and, if so, how often and at what fee? Would the renter/host be required to occupy the property during rental? (some jurisdictions actually require this). I would expect the issue to begin percolating to the surface in the next few months, perhaps this summer. I don’t host an Airbnb in Richmond. But I do use them frequently on vacations. They are a great budget option. They also can provide a better more authentic experience than a cookie cutter downtown hotel or hostel. It is unfortunate that party with the floor collapse was associated with an airbnb rental. There will always be somebody on the fringe who will find a way to abuse a good thing. But that doesn’t mean we need draconian regulations or to just ban airbnb. That is not a proportional response. As I mentioned above I do not host an airbnb. I have contemplated it in the past. And if I ever had I would probably set my property to have a 2 or 3 night minimum and probably would not rent to anybody who didn’t have verified status and at least 2 or 3 past reviews. These would be my ways to manage risk. I wonder if the host of the party house in the incident observed any criteria when considering the booking request? I have to imagine his or her insurance company will not look favorably upon all this. If the city ever requires older homes to be compliant with current building codes, 90% of Church Hill is screwed. Liv Glavé a very valid point. Granted we’re not Paris or San Francisco but with the way rents have skyrocketed in the last 10 years it wouldn’t surprise me to see the same ripple effects here. Thanks Steve, that’s helpful information. I also agree with Liv that full-house AirBNBs have increased the cost-of-living in other cities (esp for renters) so we should tread carefully in Richmond. I think neighborhoods like Church Hill and the Fan would be impacted the most, so we should be leading the charge here for Richmond. It’s really only the whole-house, full-time AirBNBs that hurt the cost of living for renters. So not people who rent out a room, or a carriage house, or their whole place when they go on vacation. It’s easy to regulate – other cities set a max limit of number of days you can rent out your whole house/apt (like 60 days), and this takes care of the issue. If that had been put in place, perhaps it would have prevented the party issue? Though who could have anticipated 100 (!!!) people in a house. I enjoy renting from the many vacation rental sites. AirB&B, Home Away, VRBO etc. They are great when you travel with your family and don’t want to be stuck in a hotel on several floors or down the hall from each other. Not to mention the huge expense, housing your whole family in a hotel. Sharing a house with your family when they are from all over the world and you spend time in a city/house all together. Often your own home isn’t big enough to host family gatherings and these houses work out great ! Unfortunately things happen and people disrespect others property. I hate to think this would run in it for everyone. I made a post over on the AirBnB Party Gone Wrong post, about the current known laws and regulations. Oh joy, let us have more opportunities to tell other people what to do with their own property! Would you want to rent a rat and roach infested, unsanitary, dilapidated room or floor from someone? And there is the matter of taxes and your home owner’s insurance with what is and isn’t allowed, especially if a guest gets hurt on your property (liability). And of course, your comment takes a jab at the Old & Historic District as well as the DHR designations. They are there for a reason which is to protect the historic fabric of the structures and neighborhood which groups of people have fought the past 60+ years for. If you don’t want to take on that stewardship associated with moving into a historic neighborhood, there are plenty of other places to move to in the city without those responsibilities. Older homes can sit as they are concerning compliancy ONLY if there is no new construction or renovation inside and out. Once walls and floors are breached for construction, then that is when you have to be up to code. The old and new attached to it has to meet building codes. Any home improvement / house flip show tells you that. This is where people try and screw the city with building without permits and is also taking on risk liabilities if things go bad because of it afterwards. Home inspections are for single-family occupancy and not for commercial use. There are certain fire codes and restrictions for short term rental such as egresses, rail height, hallway widths, handicap accessibility, floor strength (obviously), as well as health department codes since you are renting beds, linens, and towels, refrigerators, showers, etc… as well. Also building maintenance itself to be sure there is no asbestos, lead paint, black mold, pet dander, smoke, or other contaminants that can make people sick. And no personal injury risk such as broken doors, house clutter or cramped spaces, decorative items that can fall or break, etc… In other words, if done properly and legally, there is a LOT of responsibility involved. I think people are still missing one factor here. It is ILLEGAL to run a B&B in Richmond, period.